Tenants' rights in California are protected by state laws and by federal law. In any case, however, the first requirement for protecting your rights is a timely response to the eviction notice. Must state how much rent is owed. This portion of the notice may only address rent unpaid within the previous 12 months. Including a demand for rent owing for more than one year could invalidate the notice. Must make a demand that the rent be paid in full within three days of reception of the notice and that failing that the tenant must vacate the premises. Must give the name, address and phone number of the person to whom the rent must be paid. Either specify the times and locations where the rent money can be delivered, or give a mailing address where payment can be remitted. California law also prohibits landlords from making other payment demands in the rental notice, including late fees, interest and payment for utilities or damages. Including these prohibited payment demands could invalidate the notice. Can a New York State Tenant Withhold Rent? Can a Landlord Put a For Rent Sign on My House While I Still Live There? In all interactions with your landlord, it's essential to have a record. Make photocopies of all legal notices, such as the eviction notice, and keep them together in a folder. If your landlord does anything illegal --intimidate you or threaten you, for example -- it's essential that you have a way of showing the court that this happened. A roommate or spouse can and should unobtrusively record these interchanges on a smart phone. If you can prove the landlord threatened you -- even by threatening to report your immigration status to authorities -- he is subject to a $2,000 fine for each threat. In some circumstances, you have additional rights and times to respond beyond the 3 days from the notice and the actual eviction. 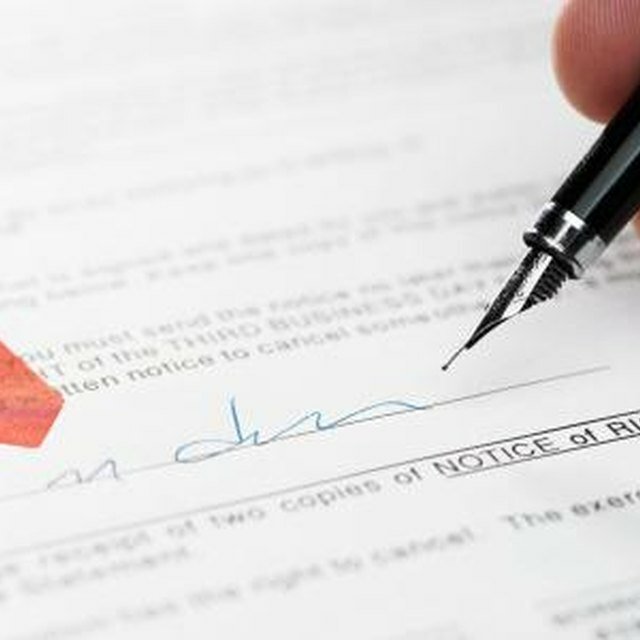 • If you are the tenant of an owner who has been foreclosed on, California law gives you the right to remain as a tenant according to the terms of the former owner's landlord-tenant agreement. Banks may deliver an eviction notice when the owner loses the rental unit, but is not a legal document. Often banks will not notify the tenant at all, then claim the tenant missed the deadline to respond. Respond promptly to this or any other notice you dispute with a brief written explanation of the reasons you believe the notice has no force. You may be able to get help with this document from one of several free tenants rights groups. • If your landlord has failed to provide the services named in the lease or generally assumed in law, such as a leak-free dwelling, you have a right to withhold your rent until the deficiency is remedied. This is a potentially complicated action, but you can begin informing yourself about how to respond by reading consumer documents provided by the California Department of Consumer Affairs. If pursuing this remedy, be sure to document everything. Good records are the key to a winning case if the dispute goes to court. • Certain other situations give tenants from 30 days to 90 days to move out, rather than the usual 3 days. These include tenants living in Section 8 housing, and tenants living in rental complexes being converted to condominiums. The latter situation can be very complex -- there are different rules, for example, for units of four units or less than for larger conversions. You can begin to inform yourself at the California Department of Consumer Affairs website or through brochures you can obtain from the department by calling (800) 952-5210. An overview of laws related to tenant evictions for the several California cities and counties that have passed them can be found here or by contacting your local government directly. Many of these ordinances provide rights in addition to those stipulated in state law. Nolo also provides a Federal laws research site.